Meeting on June 11th: At Bridge Church location. 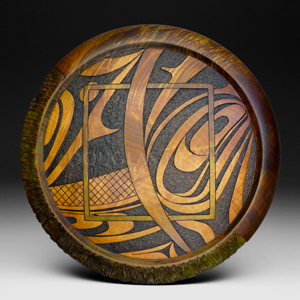 The challenge for May is a piece with your best finish and/or the worst and indicate why. 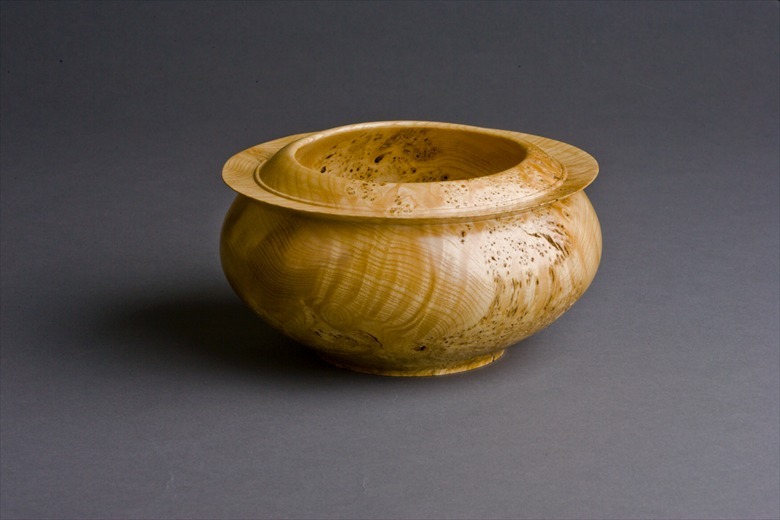 November: Mike Gardner on Hallow forms without hallowing, surface embellishment, and square bowl turning with multi-axis. 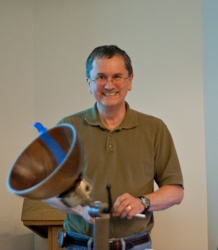 The main agenda item was Bill Johnston presented his process for turning and finishing a bowl. The documented flow will be documented and placed in the Salad Bowl finishing page (see tutorial column on homepage). His process is simpler than before with fewer coats and quite good results. 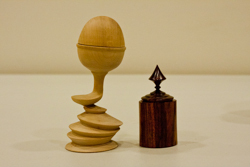 The Presidents' Challenge was an Off-center turned piece. A good example was Harvey's pieces at right. Others submitting were Richard Winslow, Ed Howe and Budd Trapp - see the homepage for pics. 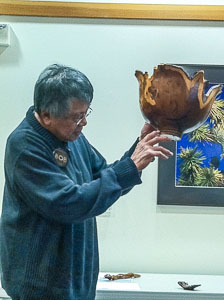 Show-and-Tell included a Vigae bowl from Bob, a Olive mis-shaped bowl from John, and Trapp had a cedar hallow form. See pics on homepage. July is sharpening techniques, and August is the BBQ at Jim's where chain saw safety is the topic.